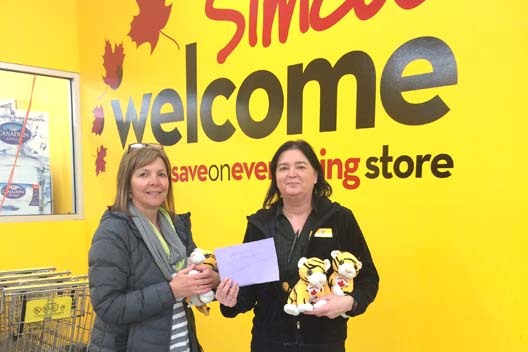 Giant Tiger in Simcoe generously donated a box of Tiger toys and gift cards for our Children’s Christmas party on Dec. 6th. They also have an Angel tree in their store for customers to donate to a child in need, with all proceeds coming to our agency. Thank you to Mary and Dwayne at our local Giant Tiger store and to Gwen, pictured here making the donation.